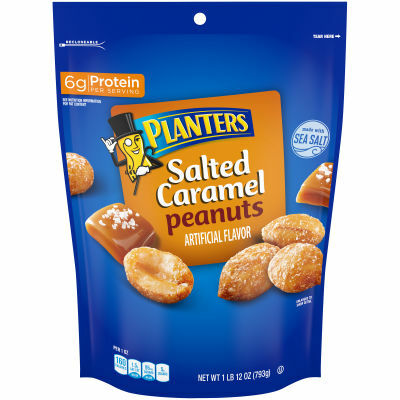 Shelled and skinned peanuts seasoned with sea salt and salted caramel flavor deliver a decadent treat you can enjoy all day. Grab a handful for a quick treat, or use in a recipe to spruce up your favorite dessert. - These cocktail peanuts come in a convenient 28 oz. bag that can be resealed for ultimate spill-free freshness.